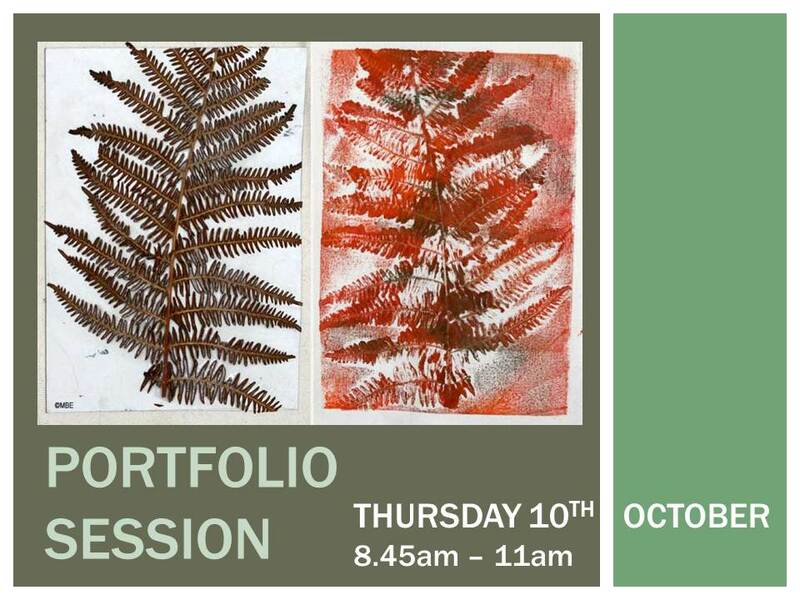 A portfolio is used to showcase your artwork for entry to further education courses, jobs and galleries. One portfolio can differ from another depending on its purpose. Research the course/ gallery/ job you are applying for and make sure you understand the emphasis of the course. Demonstrate your capability in your chosen area. Show visual evidence of a range of skills using a variety of tecchniques and materials, this could include finished projects, developmental work, digital work, photography, paintings, drawings, three dimensional work, storyboards, films or animations. Show creative thinking, investigation and ability. Include sketchbooks and notebooks as well as finished work. Make sure your work is organised, with sketchbook work next to final pieces. Any large or three dimensional work can be shown in photographs. Know your work! You will need to be able to talk clearly about your ideas, and what you consider to be stronger or weaker pieces.